A two-tone upper and simple silhouette make the Born Fleet the sandal of the season. The full grain leather straps are crafted in a two-part design with a adjustable ankle strap with hook and loop closure. 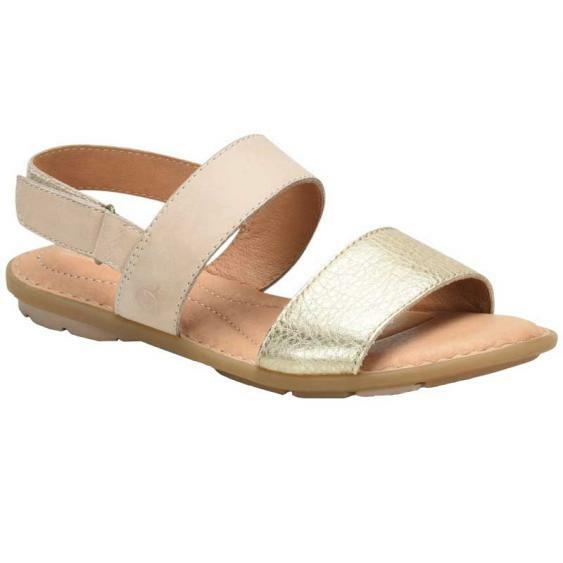 The leather lining is soft against a bare foot and the leather covered footbed is generously cushioned. Born’s Opanka Construction adds flexibly to the shoe and offers ultimate bounce back for a comfortable stride. The rubber outsole is textured for traction. Add comfort to your every day look with the Born Fleet sandal.